It’s more convenient than ever to recycle paint in Vermont. Since the start of the Vermont paint stewardship program in May 2014, PaintCare has set up 77 drop-off sites in Vermont where the public can take unwanted, leftover paint for recycling year round. Most of these sites are at paint retailers (paint and hardware stores) that have volunteered to take back paint, and they are available to any household and business in Vermont. These stores accept paint whenever they are open for business. A few PaintCare drop-off sites are household hazardous waste programs — either facilities or “one-day events.” These programs are run by the local solid waste district, alliance, or town. In addition to accepting paint, these programs usually accept other non-paint hazardous wastes (e.g., pesticides, solvents). Most of these government programs limit participation to the households of certain cities or towns. Some of these government programs also allow businesses to make appointments during special hours. Businesses are usually charged fees for non-paint hazardous waste, and sometimes they are charged an administrative fee to schedule an appointment, but they are not charged for paint, on a per gallon basis, if the agency is a PaintCare partner. A few restrictions apply: there are limits on how much paint can be dropped off per visit. Also, note that certain businesses — those that produce more than 220 pounds (about 20-30 gallons) of hazardous waste per month — can only drop off latex paint (they may not drop off oil-based paint). When you decide it’s time to recycle your paint, please call your site ahead of time to confirm their hours and to make sure they have space to accept the amount of paint you would like to recycle. PaintCare Products vs. Non-PaintCare Products. There is no charge for dropping off paint at a PaintCare drop-off site. PaintCare is funded by the “PaintCare Fee” which is added to the purchase price of paint sold in the state. These fees are paid to PaintCare by paint manufacturers, then passed down to retailers and to their customers. When you buy paint, you may see a line item on your receipt or invoice for each container. The fee is not a deposit — you don’t get it back when you drop off paint — a common misunderstanding. These fees are used to fund all aspects of the paint stewardship program. Fees pay for paint collection, transportation, recycling, public outreach, and program administration, and to manage old “legacy” paint — the paint that has been accumulating in homes and businesses from before the program started. PaintCare sites accept old paint, even if it is 30 or more years old! The fees are based on container size as shown in the table below. * 220 pounds is about 20-30 gallons of paint. When counting how much hazardous waste you generate in a month, oil-based paint counts (because by law it is a hazardous waste), but latex and other water-based paint does not count toward the 220 pound monthly total. Information for painting contractors is available for print or download. Employee training logs for the PaintCare program. Download training log here. a. Add Assessment Fee: Manufacturers must add the PaintCare Fee to their wholesale price of each container of paint. Retailers must ensure these fees are passed down to the consumer. The fees are based on container size as follows as shown in the table below. b. Sell Registered Brands: Retailers must make sure they do not sell unregistered architectural paint brands. Retailers can verify the registration of manufacturers and brands using the following lists which are updated regularly. If you are a retailer and do not see a manufacturer or brand of paint sold in your store on these lists, please contact PaintCare at (855) 726-6809.
c. Provide information to consumers about the paint stewardship program and recycling opportunities in Vermont. PaintCare has developed the General Poster and Program Brochure to help retailers meet this requirement. See ordering information below. Order Form for Brochures and Other Printed Materials. Also in Word. Fact Sheet: Painting Contractors This fact sheet was developed at the request of retailers to help explain the program to their customers who are painting contractors. Some retailers have found it useful to send this to regular customers with monthly statements. 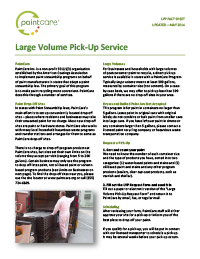 Fact Sheet: Large Volume Pick-Up Service Also available in Spanish. General Poster for Retailers. Display in stores in the paint department or near the cash registers to help explain the program to customers. Fact Sheet: Paint Retailers. This fact sheet was mailed to all paint retailers in Vermont in January 2014 to inform them of their responsibilities under the paint stewardship program. Fact Sheet: PaintCare Fees. Answers to common questions from retailers about PaintCare fees. 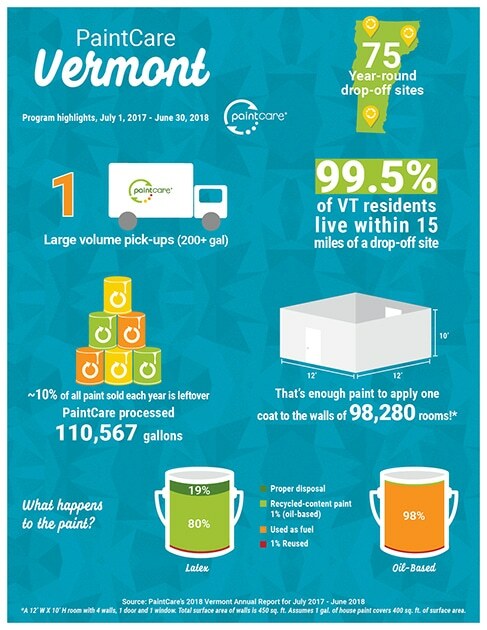 This one-page infographic (8.5″x11″) highlights the successes from the most recent reporting period for the Vermont PaintCare Program (July 2017 to June 2018). Please consider downloading and printing a copy of the infographic and then posting it for staff and the public at your business or organization. PaintCare prepares an annual report for the 12 months ending June 30. The first report for Vermont covers 14 months because the program started two months early. The Vermont program is a result of Act 58 passed in 2013. 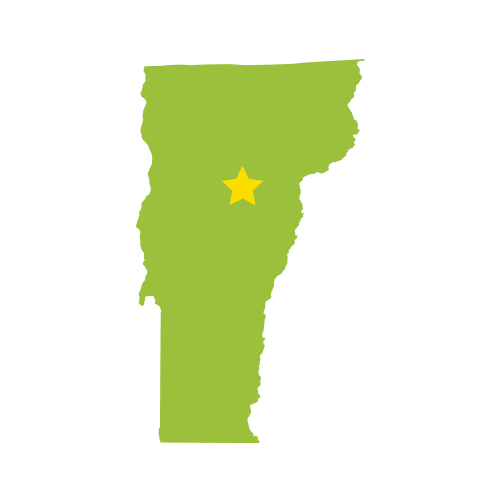 The state agency for the Vermont paint stewardship program is the Vermont Agency of Natural Resources (ANR). Visit ANR’s Paint Stewardship page.